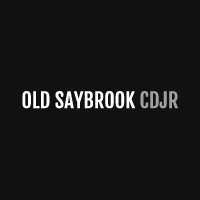 If you need to get your car serviced but don’t want to spend an arm and a leg, rely on the Old Saybrook Chrysler Dodge Jeep RAM service department. We have a rotating variety of oil change exclusive offers, brake service coupons, and more, so you can be confident that you’re getting a good deal on service. Routine maintenance is essential for your Chrysler, Dodge, Jeep, RAM, so we don’t want you to put off auto repair because it’s too expensive. After you view our auto repair coupons online, make your way from New London to Old Saybrook – we want to keep your car in the best condition possible! Questions? Contact us today. With Mounting, balancing and alignment. See dealer for details. First 3 tires at regular price. Limit one (1) coupon per purchase. Coupon must be presented prior to purchase. Cannot be combined with any advertised price, promotion, discount or coupon. Not valid towards a previous purchase. Plus hazardous waste removal (if necessary). Plus tax. Other restrictions may apply. Free inspection and 10% off brake repairs over $200. Coupon not valid with any other offer. Must present coupon at time of purchase. Limit one coupon per person. Coupon does not apply to prior purchases. Plus tax. Plus hazardous waste removal (if necessary). We will perform a conventional oil, lube and filter change for only $29.95 with this coupon. Up to 5 quarts. Coupon not valid with any other offer, synthetic oil or diesels. Must present coupon at time of purchase. Limit one coupon per person. Coupon does not apply to prior purchases. Other Restrictions may apply. Void where prohibited. Plus tax. Environmental disposal fee may apply. Extra for HEMI, V10, Crossfire & diesel engines. The Works includes: Oil change (up to 5 qts standard oil), lube, oil filter PLUS tire rotation and brake inspection PLUS a multi-point inspection and wash! Synthetic oil, diesel and over-sized tires extra. Coupon not valid with any other offer, synthetic oil or diesels. Must present coupon at time of purchase. Limit one coupon per person. Coupon does not apply to prior purchases. Other Restrictions may apply. Void where prohibited. Plus tax. Environmental disposal fee may apply. Extra for synthetic, HEMI, V10, Crossfire & diesel engines. Balancing extra. Over-sized tires extra. Coupon not valid with any other offer. Must present coupon at time of purchase. Limit one coupon per person. Coupon does not apply to prior purchases. Other Restrictions may apply. Void where prohibited. Some models higher priced. Plus tax. Not valid on oil changes, tires or body shop work. We will perform a 4-wheel alignment, and a multi-point inspection with a car wash for only $79.95. Coupon not valid with any other offer. Must present coupon at time of purchase. Limit one coupon per person. Coupon does not apply to prior purchases. Plus tax and hazardous waste disposal fee if applicable. Use this coupon for a $139.95 coolant service. Not to be combined with any other coupon or offer. Must be presented at time of write-up. Prior sales excluded. Plus tax and hazardous waste disposal fee if applicable. AC system check- includes refrigerant and dye for only $159.95. Coupon not valid with any other offer. Must present coupon at time of purchase. Limit one coupon per person. Coupon does not apply to prior purchases. Other Restrictions may apply. Void where prohibited. Plus Tax and environmental disposal fee may apply. $50 off transmission flush or service with this coupon. Coupon not valid with any other offer. Must present coupon at time of purchase. Limit one coupon per person. Coupon does not apply to prior purchases. Other Restrictions may apply. Void where prohibited. Plus tax and hazardous waste removal fees. Free battery test and 15% off parts and labor, if needed. Coupon not valid with any other offer. Must present coupon at time of purchase. Limit one coupon per person. Coupon does not apply to prior purchases. Other Restrictions may apply. Void where prohibited. Plus tax and hazardous waste disposal fee if applicable. 15% off timing belt replacement. Flush Package Includes: Coolant flush, brake flush, fuel induction service- all for only $424.99! Coupon not valid with any other offer. Must present coupon at tie of purchase. Limit on coupon per person. Coupon does not apply to prior purchases. Plus tax and hazardous waste fee if applicable.